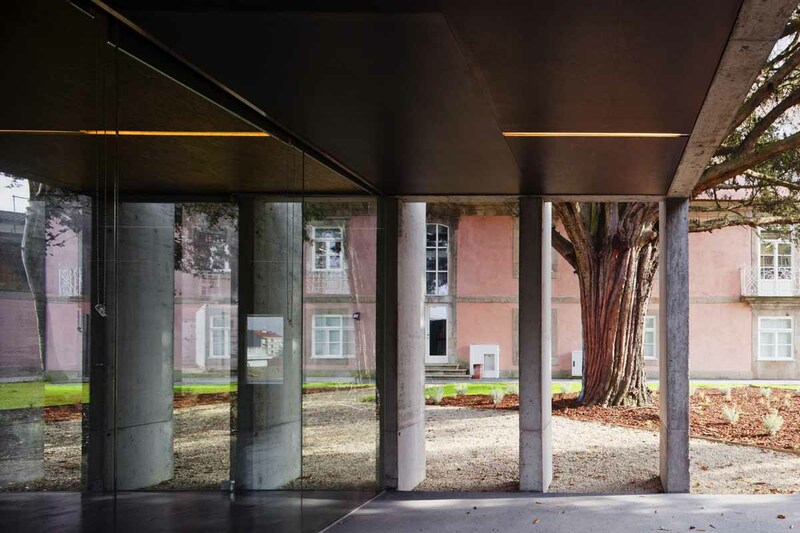 Description: PINC - Pole for the Creative Industries of Park of Science and Technology, University of Porto - quickly became a space of great dynamism of Porto. 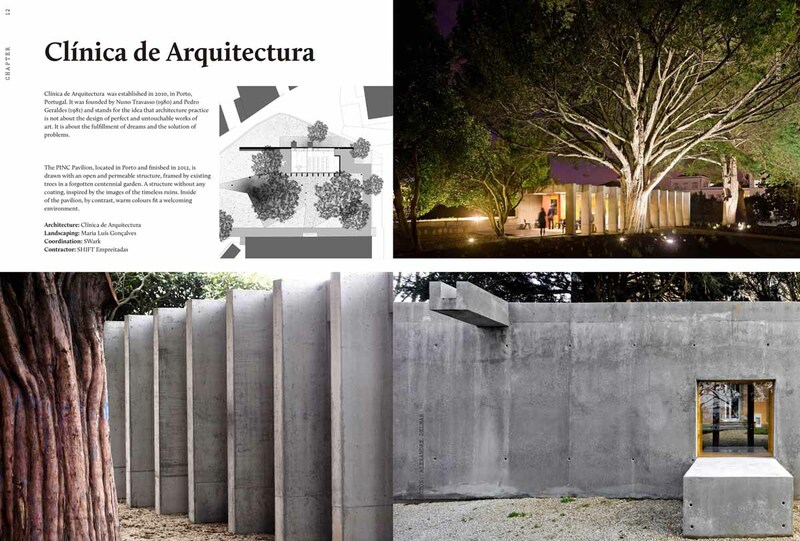 A recognized center for the creation and production of events. 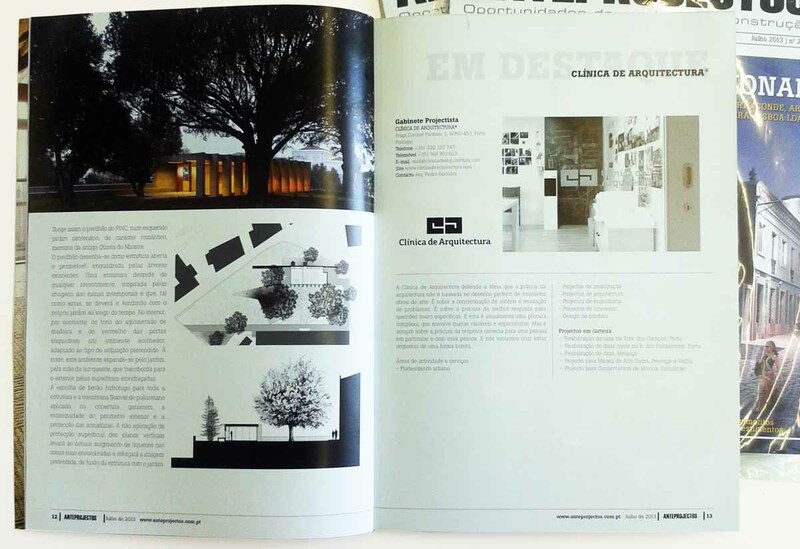 It became necessary to create a meeting point, aggregating all who work there - its customers, partners and friends. 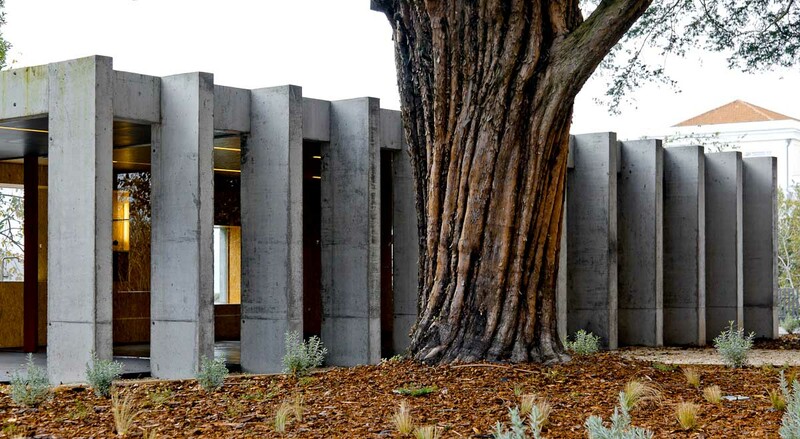 A space that should be open and flexible, able to serve as pantry for the everyday meals, but also for the moments of relaxation or discussion, meeting and training, this new building should serve all sorts of events. 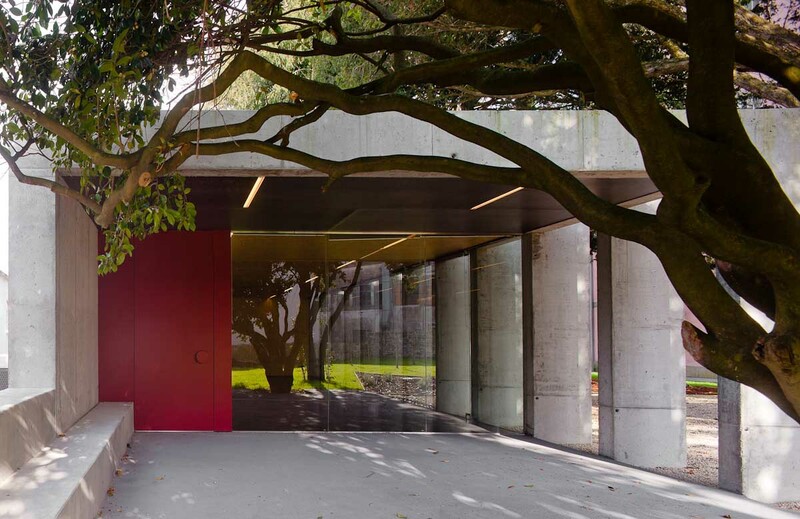 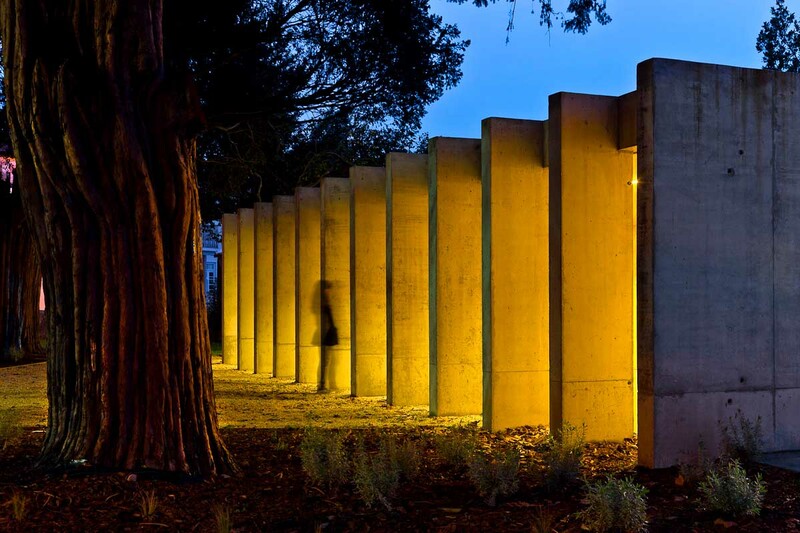 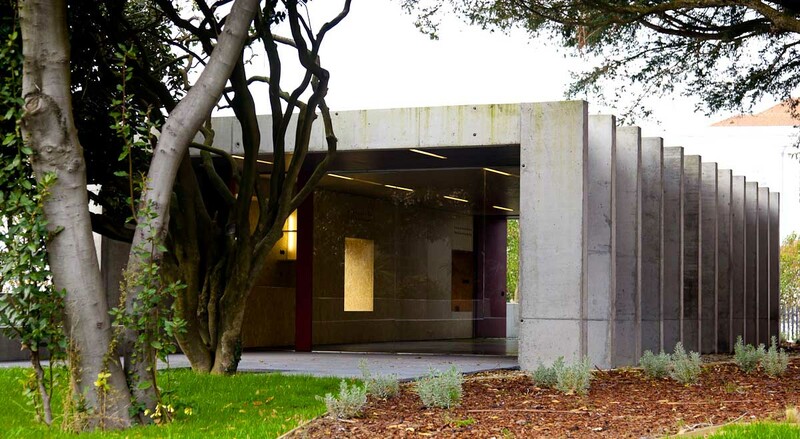 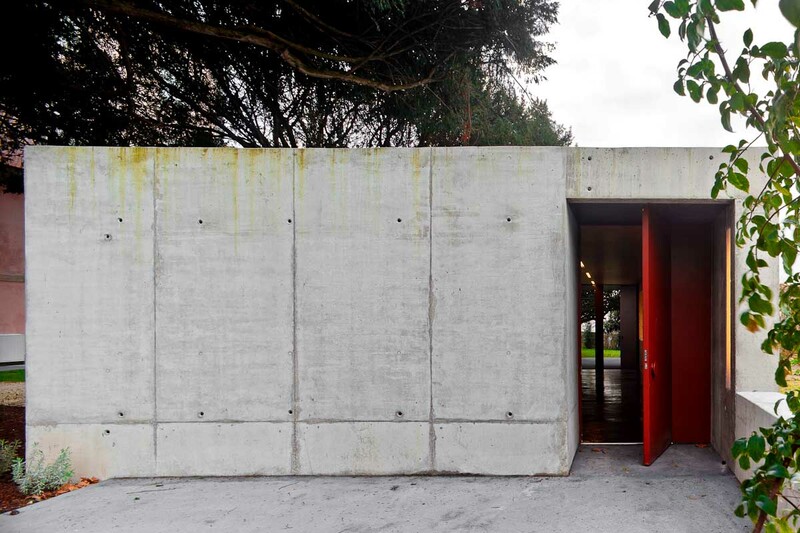 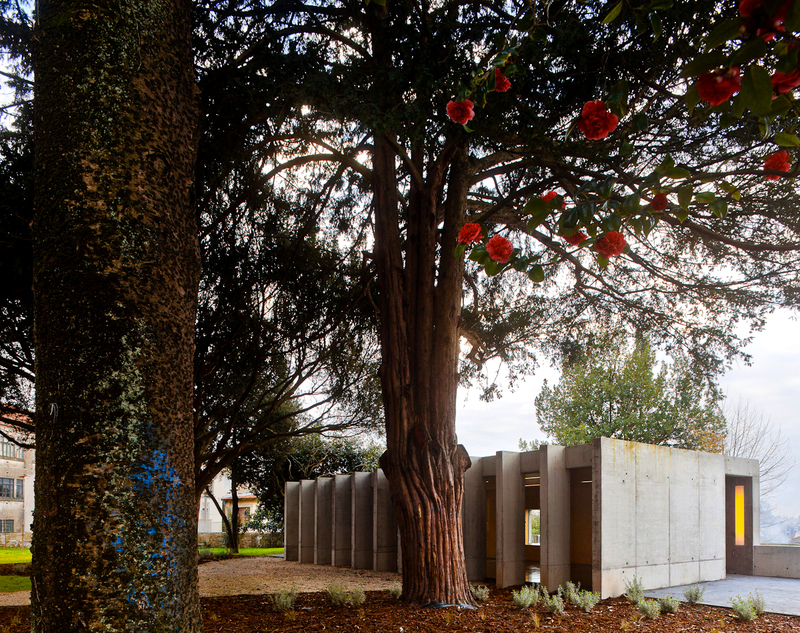 This leads to the new PINC Pavilion, built in a forgotten centennial garden, a romantic memory of the old Quinta do Mirante. 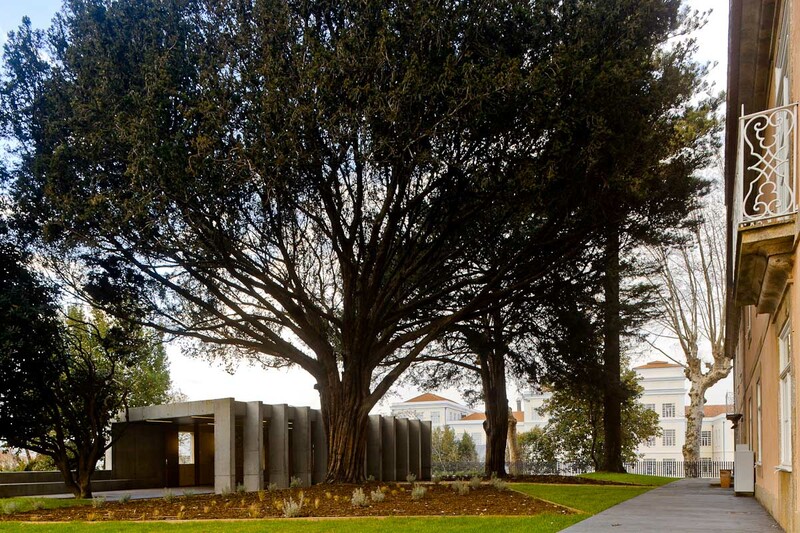 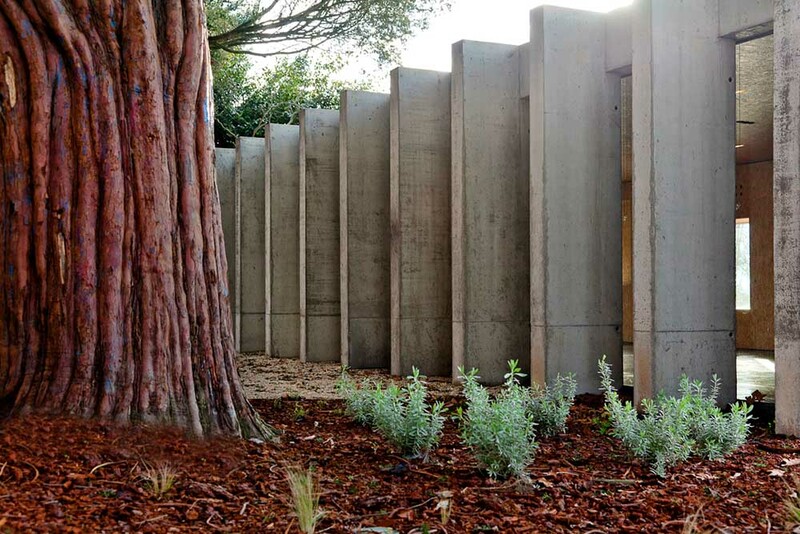 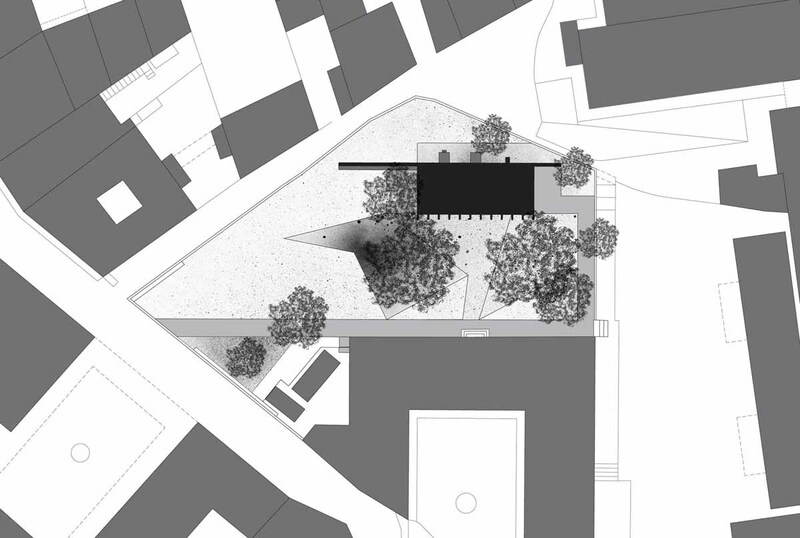 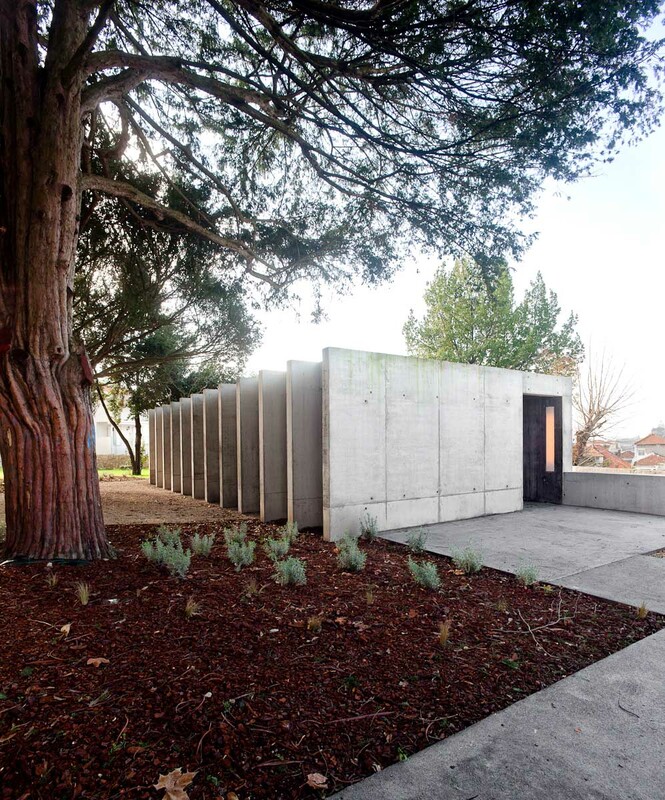 The pavilion is drawn with an open and permeable structure, framed by existing trees. 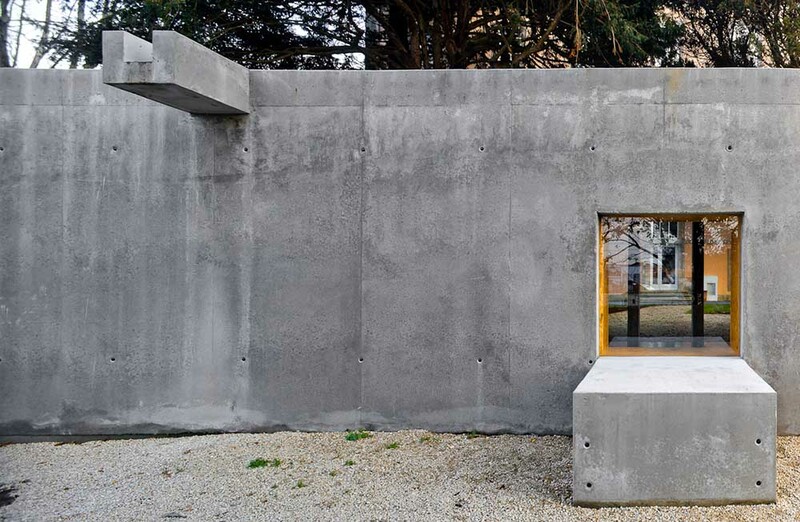 A structure without any coating, inspired by the images of the timeless ruins. 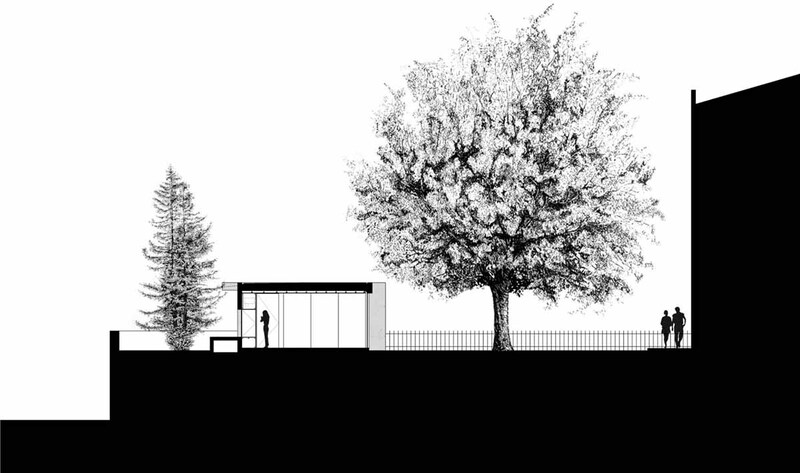 Such like these, it should merge with the garden over the time. 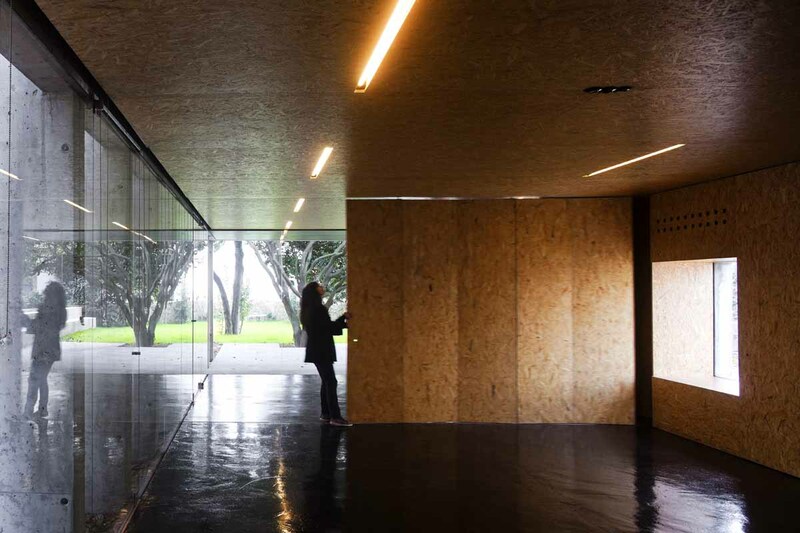 Inside of the pavilion, by contrast, warm colors of wood based panels and the red doors fit a welcoming environment. 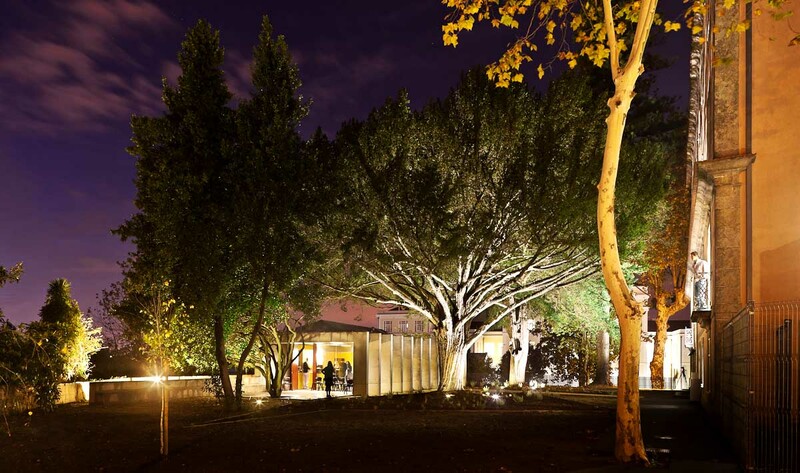 At night, this environment expands to the garden by the hand of warm light, which overflows to the outside through glass surfaces. 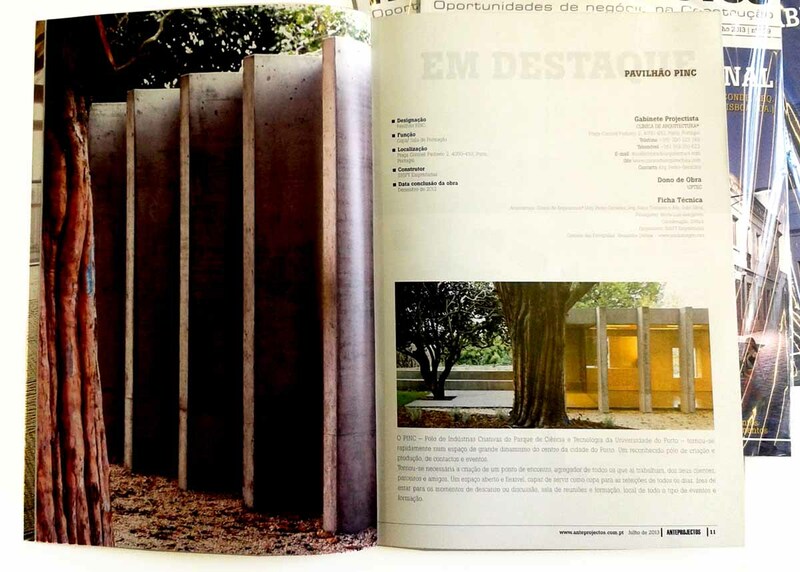 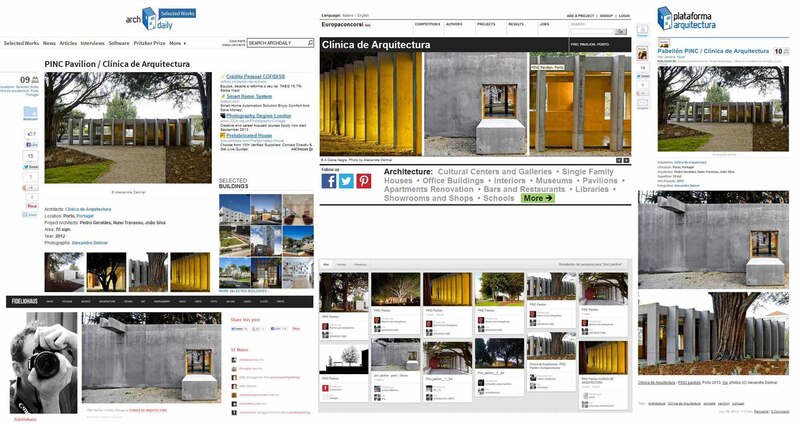 On the media: CA Press (Japan), Architizer, Archdaily, Busyboo, Subtilitas, among more than 150 online and printed editions.